Designed like the sort of hat andwardian hotel bellboy might wear, the drum-shaped Drop Ear Hat is nonetheless a comfortable walker's hat and packs up into a very compact bundle. The cylindrical top part covers the forehead and comes down to the top of the ears and there's an elasticated cord and toggle to ensure it fits snugly and doesn't blow off. To protect the lugs and the back of the neck, there's a flexible shaped curtain, although this is fairly loose and does rather let the draught in. 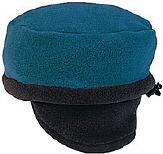 The fleece that accounts for the main part of the hat is made from a blend of Du-Pont Softec yarn and polyester, so it is soft and comfortable and, although it looks slightly odd, it does keep the head warm. We think the design will appeal to women more than men, though. Made from Polartec 200 fleece, the Arctic is a nice simple, lightweight hat that fits very comfortably. The rim round the edge can either be left up so it sits above the top of the ears, if conditions are not too bad, or rolled down over the ears to give a greater level of protection from the elements. Polartec 200 is breathable and offers warmth without too much weight. It is also quick drying and feels very durable. I must admit it took me a moment or two to work this thing out. While all the other hats and balaclavas tested have the logo on the front, this one has it on the back, so when I pulled it on, logo facing front, I found I couldn't see a thing! Confusion was, however, short lived, and I was safely strapped into this bomber-style bonce warmer which has a good substantial, yet lightweight, feel about it. 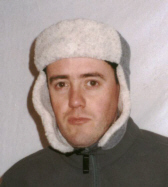 The main hat fits the head snugly, coming down to mid-ear level. For really cold and windy days, however, there is a pair of wonderful ear-protectors that drop down ' Biggles-style - and fasten under the chin with a short section of strap. When not in use, they attach over the top of the head. The Polartec 200 fabric offers a lightweight, breathable and warm piece of headgear, although the design is more Rockies than Red Cuillin, but don't, whatever you do, dismiss it for that frivolous a reason. A very versatile piece of headgear, the Vent can be used either as a hat or neck warmer. A drawstring allows you to open or close the crown, so if your napper gets a bit too hot, you can ventilate it. Open the drawstring fully, turn the hat upside down and pull it right down over your neck to create a neck and ear warmer. The soft and breathable Polartec fleece is very comfortable, keeps the head nice and warm and wicks perspiration away. The design of the hat is good too - the sides extend down over the ears and the back of the neck to keep draughts out. 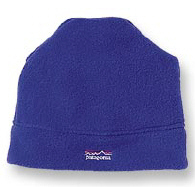 Wear Patagonia's Alpine hat and you not only keep your head warm, but you're also doing your bit for the environment. For this classic envelope-style hat is made at least in part from recycled material, namely plastic bottles. The Alpine is manufactured from 8 oz EcoSpun Synchilla (the recycled fabric), lined with 6 oz Capilene fleece to ensure good moisture wicking. To look at it and wear it, you'd never know old lemonade bottles had gone into such a comfortable, soft creation. The fit is very good too, with the sides of the hat coming down right over the ears and the back protecting the neck below the collar-line of a fleece or jacket. Should you get too hot, the edges can easily be rolled up above the ears. When not in use, the Alpine folds down into a small, lightweight (71g) bundle for stowage. A simple, environmentally-friendly hat that works very well. This is a great fitting hat 'one that really moulds itself around your head. It comes down over the ears to provide good cover for the top, sides and back of the head. The Polartec 200 fleece is very comfortable and lightweight and a Gore Windstopper liner and earband ensures the head remains protection in cold wind, however strong. This works very well. A stretchy bit at the band of the head ensures a comfortable fit and the various colour schemes offered by Mountain Hardwear indicate a lot of design thought has gone into the look of this hat, aswell as the protection it offers. Function, plus fashion, combine to create a hat that will take everything the Scottish weather can throw at you. A good price, too. Colours black, blue haze heather, charcoal heather, moss heather. 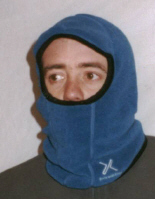 A very comfortable balaclava with some excellent features ' like the ear patches which enable you to hear what is going on around you and the nose hole that is protected by a protruding 'top lip'. 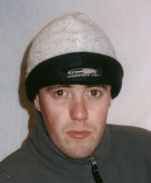 Unlike the woolly balaclavas of days gone by that itched terribly, the Flex is made of micro fleece with a Windstopper laminate and is extremely comfortable to wear for prolonged periods of time. The fabric feels a bit odd when you pull it on for the first time, but it does its job very well. In addition to covering the head comprehensively, the material comes down to the top of the shoulders, protecting the neck. While some balaclavas can feel claustrophobic, the generous gap for the eyes, combined with the nose and mouth holes make this a pleasure to wear. It's also snug enough to be worn under a hood or climbing helmet. As someone who wears glasses a lot of the time, I found the Flex accommodated these well, too. This is a seriously good balaclava that will protect the head in the most extreme conditions. One of two balaclavas in ourtest, this has fewer of the features of the Mountain Hardwear Flex, being of a more traditional design with just one larger hole for the eyes and mouth, but is roughly half the price. It has an elasticated rim and a peak over the brow and there is also an elasticated hem which comes down to the shoulders, sitting slightly longer at the back, offering complete neck cover with plenty of flexibility for head movement, from side to side and up and down. Indeed, there is enough flexibility in this garment to allow you to wear the balaclava with the elasticated hem that circles the face area either below the nose, covering the mouth, or pulled down under the chin. Made from soft Polartec fleece, it is very comfortable to wear for long periods of time and also performed very well in bad weather. Weight-wise, it's very light and packs down into a very small bundle. Again, it's snug enough to wear under a helmet or hood.